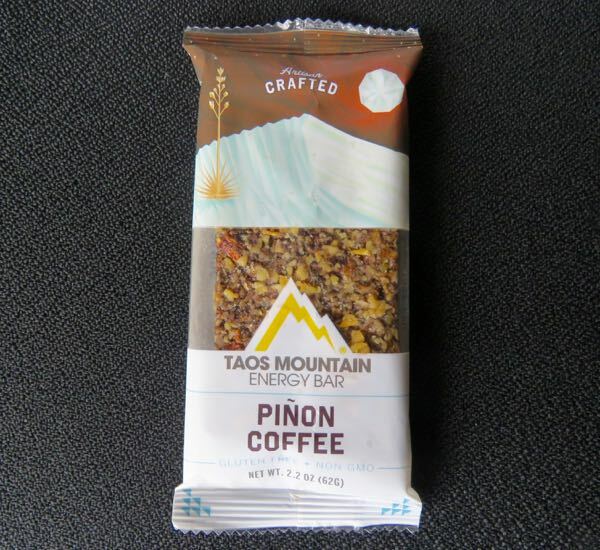 Today's Pinon Coffee Gluten Free Non GMO (bar) was created by Taos Mountain Energy Bar (Cuesta, NM). 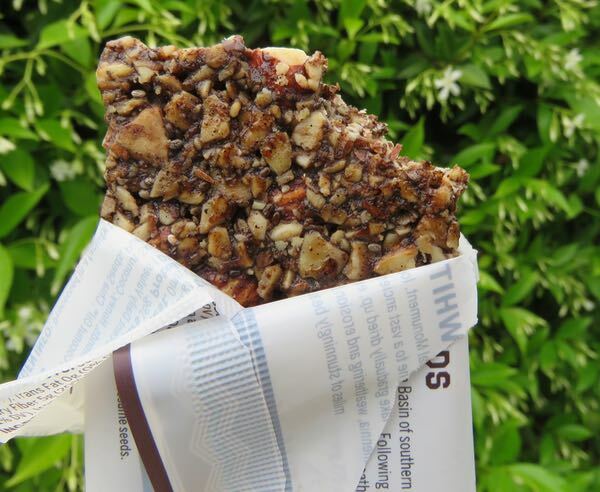 This energy bar had a welcoming, natural coffee aroma, a soft seedy chew, and a rich, nutty, mocha flavor. * It was sweetened with coconut sugar and honey instead of sugar (thank you), and was much tastier than most mass-produced energy bars. It would be a great snack for a morning hike in the hills. The company's bars are described as artisan-crafted and outdoor-inspired. And the packaging around today's bar contained a description of White Sands National Monument area in New Mexico. *Ingredients: Almonds, honey, coconut sugar, pine nuts, dark chocolate, coffee, coconut oil, chia seeds, pure ground vanilla beans, sea salt.